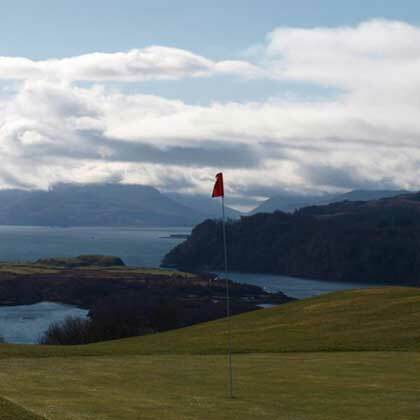 For information about the rest of the Isle of Mull click here. 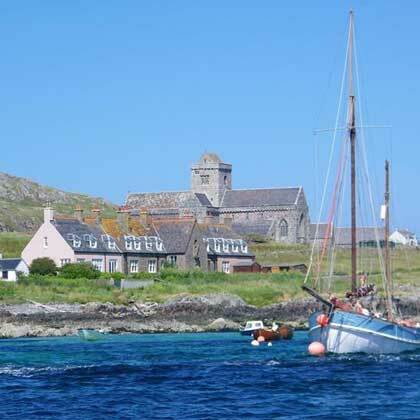 For information about Iona click here. Tobermory was built as a fishing port in the late 18th century and is now the main town on Mull. It is a picture-postcard of a place with the brightly painted buildings along the main street to the pier and the high woodland-fringed hills surrounding the bay. The town has a good variety of shops, hotels, and other accommodation as well as being the administrative centre for the island. The harbour is always busy with fishing boats, yachts and the ferry to and from Kilchoan. In recent years, the island has become very popular for weddings in a romantic atmosphere. There is reputed to be the wreck of a Spanish galleon somewhere in the mud at the bottom of the bay. The ship was part of the defeated Armada of 1588 and was fleeing the English fleet when she anchored in Tobermory to take on provisions. Following a dispute over payment the ship caught fire which caused the gunpowder to explode. She was supposed to have been carrying millions of gold coins when she went to the bottom but no-one has ever managed to find any significant treasure. 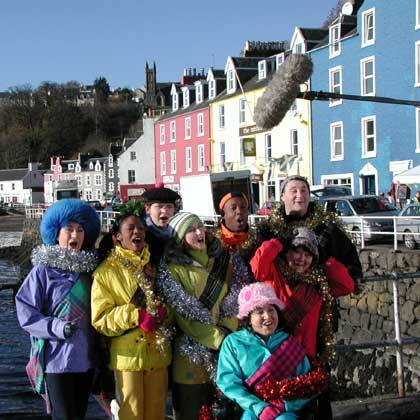 More recently, Tobermory has been the setting for the children's programme Balamory. After the initial success of these programmes in Britain, Balamory is now reaching a new audience in Australia. The Isle of Mull and Iona have become one of the premier destinations for wildlife watching in the United Kingdom in the last few years. 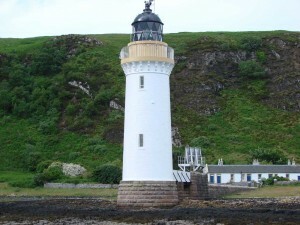 Thousands of people are attracted to the islands in the hope of catching a glimpse of the rare and unusual Golden and White-tailed Eagles, Otter, Corncrake and an abundance of other birds and mammals. 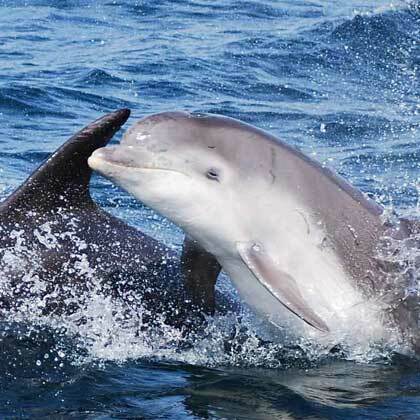 The seas off the coast of Mull are important feeding areas for whales, dolphins and basking sharks. 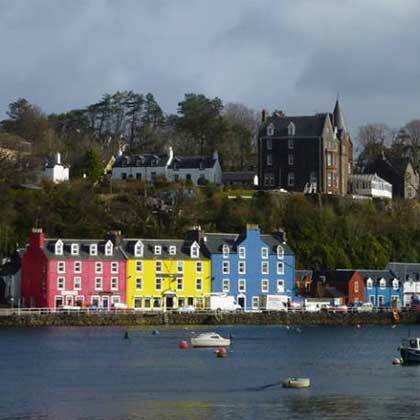 The colourful and picturesque island capital of Tobermory is an ideal location from which to make the very most of your wildlife watching on the Isle of Mull. 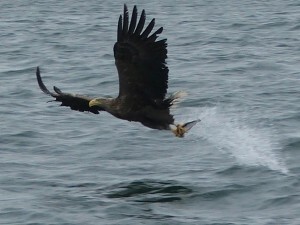 The island is home to the most famous pair of White-tailed Eagles in the world, as featured on numerous television and radio broadcasts. 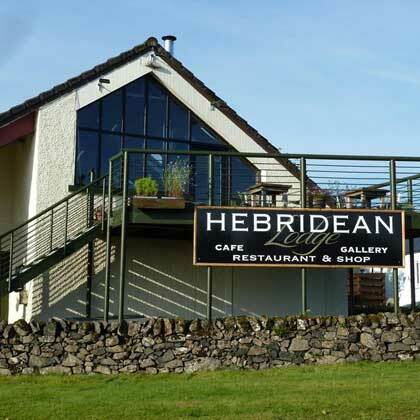 The re-introduction of these iconic birds of prey has been so successful that breeding pairs can now be seen throughout the length and breadth of the island, including Tobermory. A great opportunity exists to come and see the White-tailed Eagles who begin to lay their eggs from early March onwards. Incubation takes place after the first egg is laid and lasts for an average of 38 days. Both sexes share responsibility for sitting on the eggs, although the bulk of the incubation duty is carried out by the female. The Sea Eagle Hide is open all year round but booking is essential. For everything you want to know about these totemic birds click here. 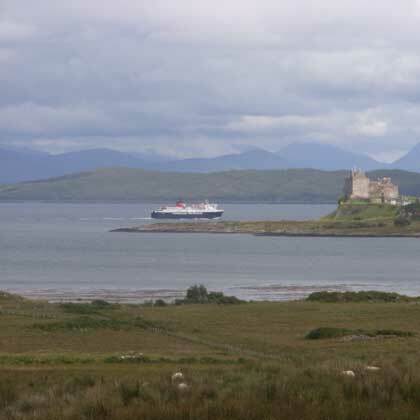 Explore mull an Iona guide 2015-16.